In early 2011, the Food and Drug Administration approved Bristol-Myers Squibb‘s drug Yervoy as a treatment for skin cancer melanoma. The drug marked the first approved treatment proven to extend the life of a person diagnosed with the disease. It marked a big leap forward in medicine as an early leader in immunotherapy, or the unleashing of the body’s immune system on cancer. Ipilimumab (i pi lim′ ue mab; also known as MDX-010 and MDX-101), marketed asYervoy, is a drug used for the treatment of melanoma, a type of skin cancer. 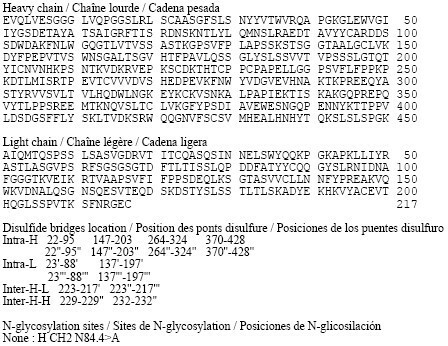 It is a U.S. Food and Drug Administration (FDA) approved human monoclonal antibody developed byBristol-Myers Squibb, and works by activating the immune system by targeting CTLA-4. Yervoy is a monoclonal antibody drug indicated for treating metastatic melanoma. The drug was developed by Bristol-Myers Squibb. In March 2011, The US Food and Drug Administration (FDA) approved Yervoy to treat patients with newly diagnosed or previously-treated unresectable or metastatic melanoma. 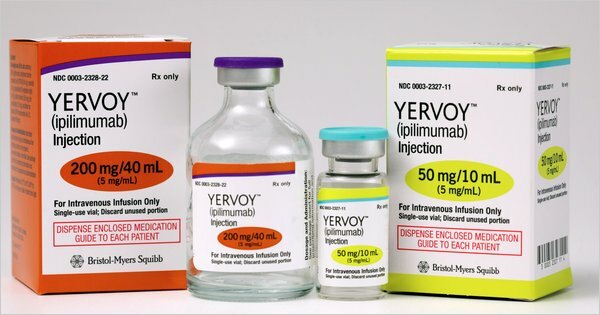 Yervoy is the first drug approved vor the treatment of metastatic melanoma in the US. Bristol-Myers Squibb submitted a marketing authorisation application to the European Medicines Agency in May 2010. The drug received approval from the European Commission in July 2011. Approval from Australia’s Therapeutic Goods Association was received in July 2011. The drug is currently being reviewed by Health Canada. Melanoma responsible for majority of skin cancer deaths in the US. In metastatic melanoma the cancer spreads to other parts of the body from its starting point. It becomes difficult to treat the disease once it spreads beyond the skin to other parts of the body. The disease is also known as stage IV melanoma. If the melanoma spreads to the lungs then the patient faces breathing problems. The patients with metastatic melanoma may feel symptoms of fatigue, loss of weight, and appetite and bowel problems. The incidence of the disease has increased steadily in the US after 1970s. The American Cancer Society (ACS) estimated that more than 68,000 new cases of melanoma were registered in the US in 2009. The ACS estimated that the number of deaths occurred due to melanoma in 2010 was more than 8,700. Yervoy treats metastatic melanoma by activating the immune system. 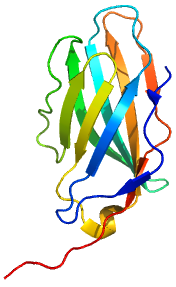 The drug works by binding or inhibiting cytotoxic T lymphocyte-associated antigen 4 (CTLA-4), a molecule that plays vital role in relating natural immune responses. The presence or absence of CTLA-4 can curb or increase the immune system’s T-cell response in fighting disease. The drug also works by blocking a complex set of interactions in the immune system. 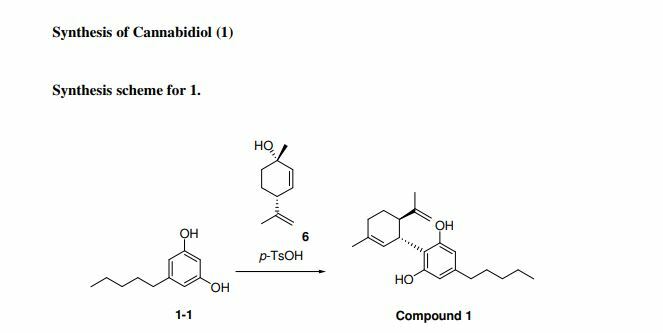 It is designed to inhibit the activity of CTLA-4, thereby sustaining an active immune response in its attack on cancer cells. By DR ANTHONY MELVIN CRASTO Ph.D in EU PIPELINE, EU SUBMISSION on November 10, 2013 .